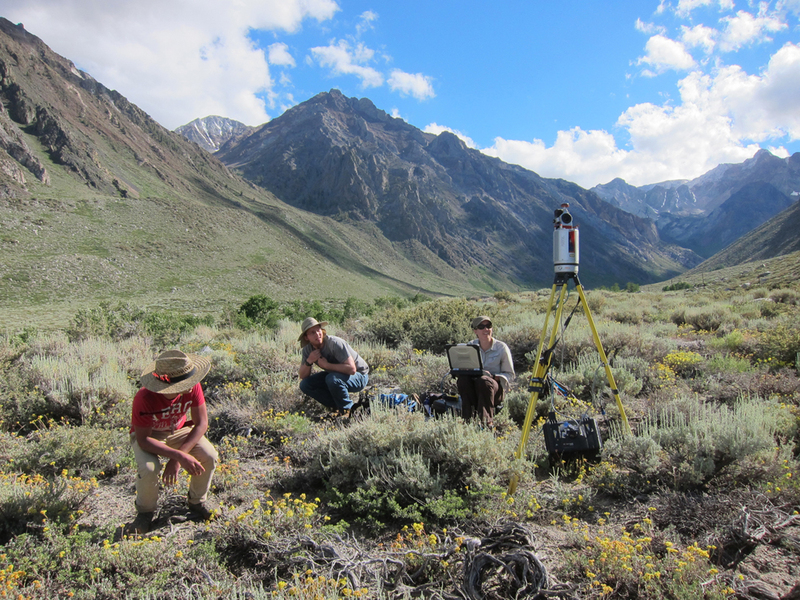 UNAVCO provided an engineer and TLS equipment to assist with the UC Santa Cruz field camp this past summer in the Eastern Sierra Nevada. 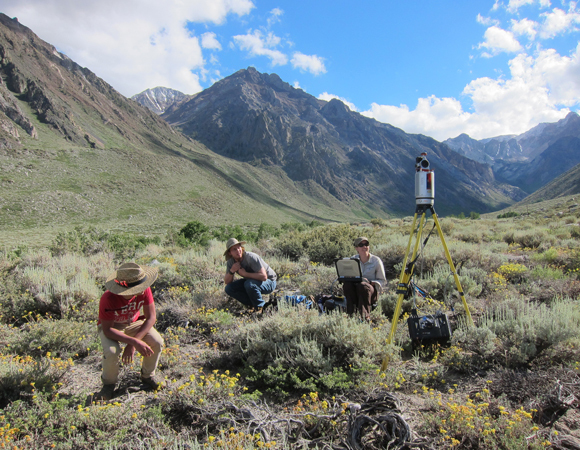 Each year, geology undergraduates from the university stay at the Sierra Nevada Aquatics Research Lab (SNARL) for one week as part of their six-week-long field camp, dedicated to familiarizing the students with geological field methods. 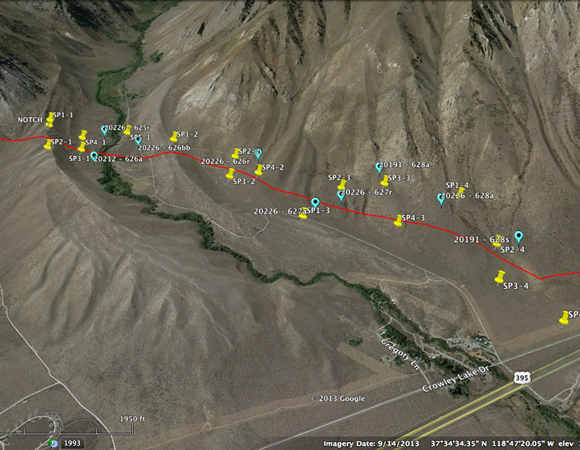 SNARL is located just north of where the Hilton Creek Fault crosses the McGee Creek Valley. The fault is well exposed and easily accessible, making it an ideal location for introductory field mapping. Over 3.7 km of the fault was scanned over the course of five days. The students received instruction in LiDAR theory and assisted with scanner operation and retroreflective target placement in the field area. The point cloud data will be used to make a DEM of the fault that will be used by future field camp classes for comparison to their handmade maps. Although it is necessary for students to have a grasp of classical field methods, they also need to understand how modern tools are helping to better visualize complex geological problems. LiDAR is one of the many technologies advancing the design and scope of experiments in geoscience today. 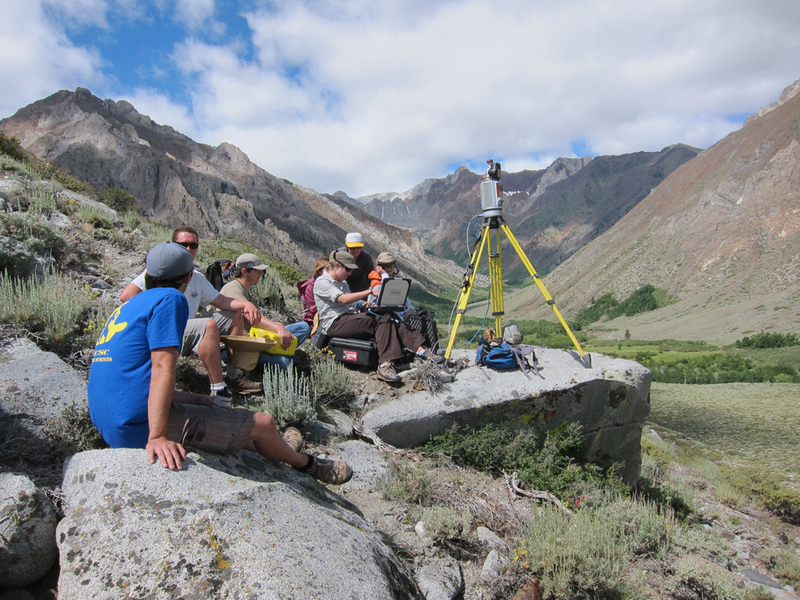 For many students, this course is their first exposure to LiDAR concepts and use. A Riegl VZ 400 ground-based LiDAR instrument was used for the mapping of the Hilton Creek Fault. The maximum range of this scanner is approximately 500 meters. Typically, a field area of such great size requires a longer range instrument, or an airborne survey. The scanner had to be placed at shorter distance intervals to adequately cover the topography. 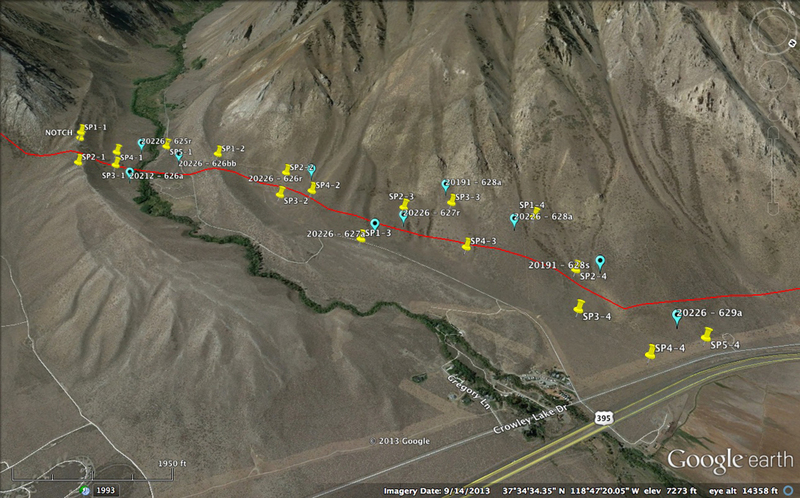 This required a great deal of hiking the equipment up and down the fault for adequate data coverage.